rogue poags: the GREATEST show on earth!!!! 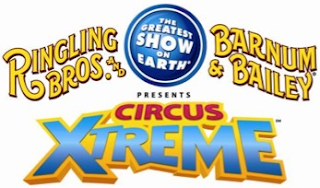 the GREATEST show on earth!!!! All seats are reserved, and tickets are available at all Ticketmaster outlets, by phone at 800-745-3000, via www.ticketmaster.com, and the Verizon Center or EagleBank Arena box office. For group rates and information, contact 202-661-5061. For more information, visit Ringling.com. Use your SmarTrip Card to save $8 on tickets. Visit the box office and show your SmarTrip card at the venue box office. Offer expires April 10, 2016. Savings coupon valid for up to six (6) tickets. Prices subject to market demand and may change. Discount applies to originally priced $30.00, $20.00 & $15.00 only. No double discounts. Offer subject to ticket availability. Cannot be combined with any other offer. Service charges, facility and handling fees may apply. Applies to all performances except Opening Night at each venue.